Picasso's interest in social outcasts such as street performers, or saltimbanques, doted from his days as a student in Barcelona. At the turn of the century, Barcelona was the principal city of Catalonia in northern Spain. This thriving industrial centre was rapidly transforming as rural populations migrated to the city, thus bringing together a mixture of classes and political opinions. In this climate Barcelona soon became renowned as a centre of anarchism. 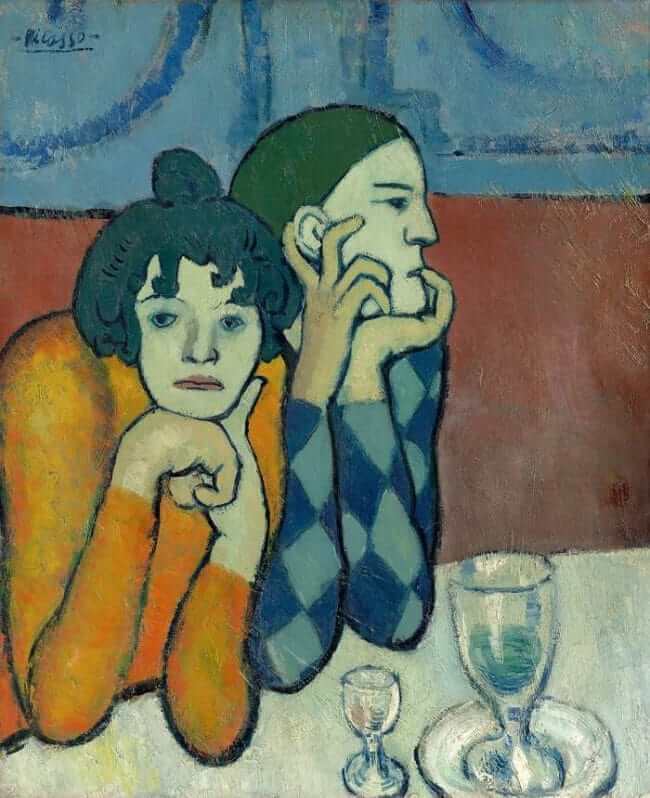 Picasso met many Catolan intellectuals and dissidents at the Four Cots Cafe, which he regularly frequented and where he was made well aware of left-wing politics. Having witnessed first-hand the urban poverty brought about by industrialization, Picasso and his friends were largely sympathetic to these left-wing views. After his first trip to Paris in 1900, Picasso took up the issue of the alienated and dispossessed of the city in his work. Street performers, such as the figure of the harlequin represented for Picasso the dark side of the city and would feature prominently in his work over the next few years.